UBC Botanical gardens and Country club wedding - Best Vancouver wedding photographer Jozef Povazan Photography studio. UBC Botanical gardens and Country club wedding. Best wedding pictures happen without expectations. 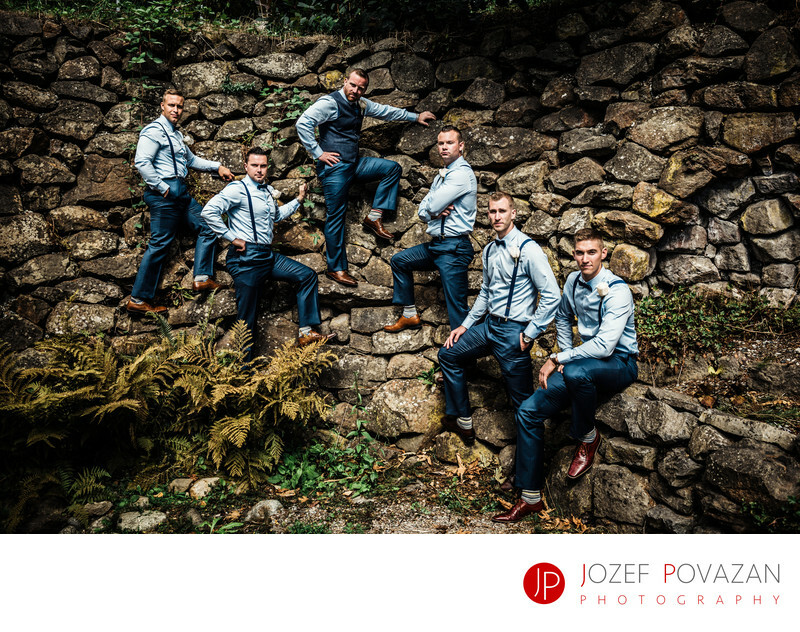 This groomsmen portrait in a rock wall shows a muscle power of men determine to have fun. All buddies in life and sport fields such rugby, athletics and bodybuilding these guys were so amazing to photograph even the brides maids joined them for the next round at this cool kind vintage wall looking background. Most of the Vancouver parks offer great photography opportunities yet you always has to be ready create and capture what is the best for the moment. Vancouver destination wedding photographer - Jozef Povazan. Location: UBC Botanical gardens Vancouver.